What the mainstream public may not realize, unless they follow the awards race, is that something is happening this year that hasn’t happened before. In a normal year, by the time we get to this point in the race, two films emerge as the challengers for best picture. Last year it was “La La Land” (cinematic) versus “Moonlight” (important), before that it was “The Revenant” (cinematic) versus “Spotlight” (important), and so on. This year the consensus never settled on two particular films. The critics (who don’t vote at the Oscars) had their favorites: “Call Me By Your Name”, “Lady Bird” and “Phantom Thread”, while the guilds (the industry folks who do vote) have embraced “The Shape of Water” and “Three Billboards” and then the popular films (box office winners) were “Get Out”, “Dunkirk” and “The Post”. Most people watching the Oscars don’t understand who votes or how the voting works. While the various branches of industry people like actors, cinematographers, and sound technicians, vote on the nominees for each category in the first stage, the entire membership of nearly 8,000 members, all get to vote on the winners (ballots were due Tuesday). When voting for a winner, in every category but one, they simply check the box beside their choice, just like voting in an election, easy. Yet, when it comes to the best picture category, the preferential ballot is used. Meaning they must rank the nine nominees from their favorite, at number one, to their least favorite, number nine. Here is where things get tricky. A film must have 51% or more of the vote to win best picture. So, after counting all the “number one votes”, if no movie hits that magical threshold, the movie with the least number one votes is removed, and all those ballots, their number 2 vote, becomes their number one, and they count again… and so on, until one movie gets that 51%. That being said, here is how I think things might play out this weekend. Best Picture might have nine nominees, but it’s between four films: “Three Billboards” (missing director nomination), “The Shape of Water” (wasn’t nominated for Screen Actors Guild ensemble), “Get Out” (missing editing nomination) and “Dunkirk” (has no actors nominated, also missing screenplay). 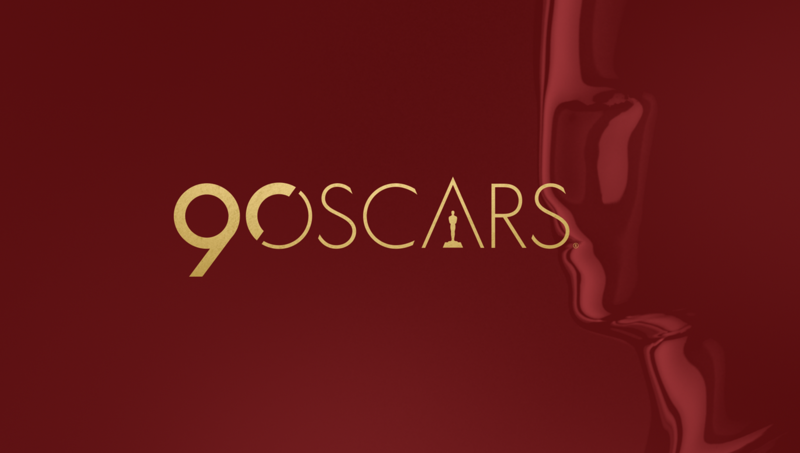 Statistically speaking, they are all missing at least one thing a normal winner usually has, so no matter who wins, some of our faithful statistics will be broken for the first or second time in the 89 year history of Oscar. In the past 23 years, no movie has ever won Oscar best picture without the SAG ensemble nomination (this is what foretold “La La Land” losing last year). So that knocks ‘Shape’ out, even though it has the most nominations on Oscar night, but so did “La La Land”. Only two films in the modern era have ever won best picture without a director nomination (“Argo”/”Driving Miss Daisy”). So, the odds are against “Three Billboards”, especially with it fighting accusations of racism and negative press. Sure, “Lord of the Rings” won without actor nominations, but, c’mon, that was “Lord of the Rings”, which “Dunkirk” is not. Plus ‘Rings’ won adapted screenplay. Can “Get Out” win without an editing nomination? It’s happened 10 times before, “Birdman” most recently. Thus, I’m taking what I learned last year, and predicting “Get Out” to surprise and win Best Picture on Sunday. A look at the other races: Director is a lock for Guillermo Del Toro (“Shape of Water”) who has won every award possible this season. The acting races seem sewn up too, although if the same winners from Golden Globes, SAG, Critics Choice and BAFTA repeat on Oscar night, it will be the first time of unanimous quadruple consensus among all the different groups. Side note, there is always one surprise, but who will it be? Gary Oldman (“Darkest Hour”) seems safe in best actor, unless 22-year-old Timothee Chalamet (“Call Me By Your Name”) shocks the world to become the youngest best actor winner ever. Frances McDormand (“Three Billboards”) seems well on her way to win Oscar number two, but in her SAG speech she told the audience “give it to someone younger”, maybe three-time nominee Saoirse Ronan (“Lady Bird”)? Despite the films backlash for Sam Rockwell’s character in ‘Billboards’ he is the odds-on favorite for supporting actor. It might be in supporting actress where you see the first shocker of the night if Laurie Metcalf (“Lady Bird”) beats out miss popularity Allison Janney (“I Tonya”), but I wouldn’t bet on it. Original screenplay is a best picture/best director part two, since all the directors also wrote their own screenplay, this category is a chance to spread the wealth, but I think whether I am right or wrong about best picture, Jordan Peele (“Get Out”) will repeat his Writers Guild and Critics Choice Award victory. “Call Me By Your Name” will easily nab the adapted screenplay. Despite Lady Bird’s popularity, most fear it will go home empty handed unless it pulls off some kind of surprise with one of its five nominations. If you want to see the rest of my predictions or have questions about the race or any of the films, find me on facebook and twitter @TexasArtFilm.